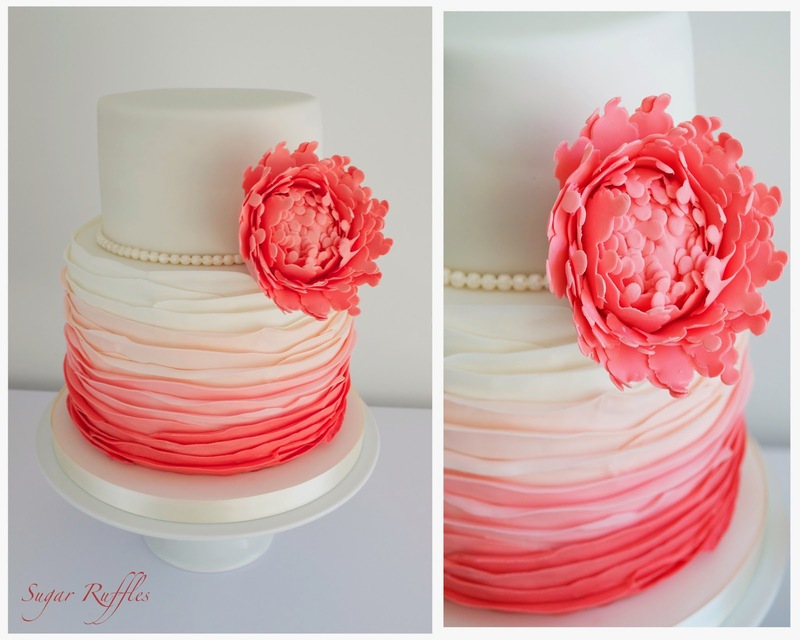 -Two tier wedding cake with coral ombre ruffles with pearls and a large coral peony sugar flower. 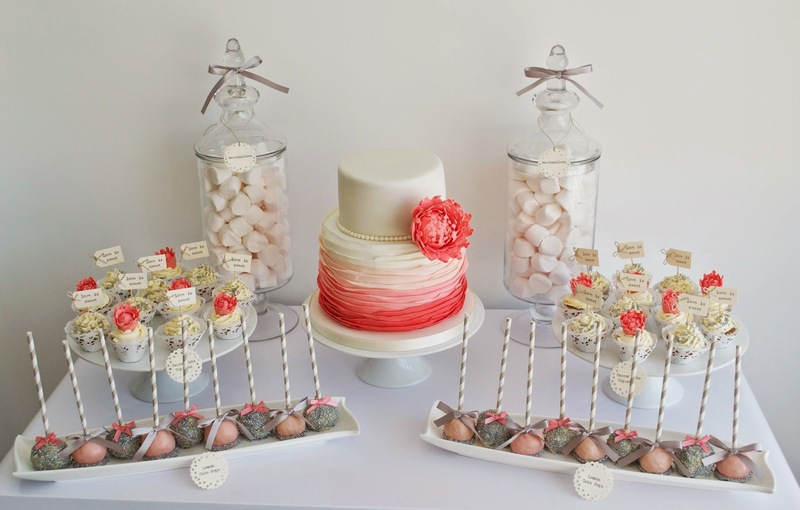 Bottom tier- Vanilla bean sponge with vanilla bean syrup, layered with vanilla bean buttercream and raspberry conserve. Top tier- Vanilla bean sponge with vanilla bean syrup layered with creamy dulce de leche and caramel buttercream.-Lemon cake pops dipped in white chocolate with sparkles on stripy grey straws-Mini carrot cake cupcakes with lemon buttercream topped with coral peonies, sparkles & pearls and ‘love is sweet’ picks.-Large apothecary jars of marshamllows.